The seemingly irresolvable SAITM issue has shown some signs of being resolved in the near future. 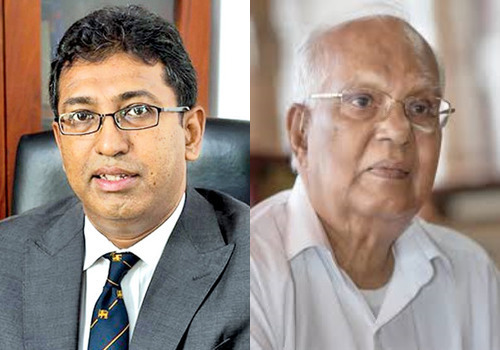 The government’s decision to remove it from the control of Dr. Neville Fernando family and run it as a not-for-profit entity under the supervision of the University Grants Commission (UGC), in terms of the recommendations of Harsha de Silva committee has received some favourable response from the GMOA. If the GMOA still has some concerns over the admission criterion, overall quality standards or clinical training, it is quite understandable going by our past experience in setting up private medical educational institutions. SAITM as well as infamous North Colombo Medical College (NCMC) which happened to be closed down in the eighties amidst severe protests by medical students of the state universities is a grim reminder of our history of trying to do right things in the wrong way. Private medical education is not a bad thing, but world over there are stringent criteria for admitting students to medical schools because of the sensitivities involved in the work of the doctors whose competency is a key factor in saving the lives of thousands of patients. Therefore, the minimum entry qualifications for medical studies are quite high compared to what is required for higher education in Arts, Humanities or Pure Science. Unfortunately, what usually happens in our country is whenever the private sector launches medical schools on a fee levying basis those who are involved in them including respected medical professionals try to misuse those institutions for their mediocre sons and daughters to enter the medical profession. Often the entry requirements are kept at a minimum level having such ulterior motives in mind. There is a proposal to attach the SAITM operation together with its current students to Sri Lanka Institute of Information Technology (SLITT) at Malabe which has been running for quite some time now, as a not-for-profit higher educational institute for IT and engineering. Under whatever set up the school is going to be placed in future, some justice should be done to its current students who have been wasting both time and money for quite some time due to no fault of theirs. At the same time future intakes should be picked on a proper admission criterion with definite arrangements for clinical training and maintenance of overall high standards. Now, the issue of SAITM has become internationally known, whatever we do in future in the field of medical education should be properly done because it will affect the country’s reputation for quality of its higher education. With many private institutions of higher education already operating in the country and newer ones coming up frequently, it is time for the government to step in and establish quality control mechanisms for higher education as found in the western countries where private higher education is popular. In fact there was a similar issue recently with regard to the foreign law degrees awarded through some of the local higher educational institutions when the Council of Legal Education refused to accept them. However, the issue did not attract much public attention as it was settled well in time. 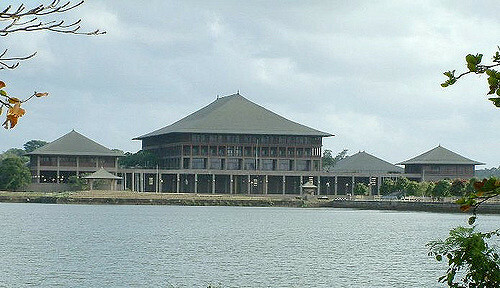 The issue arose because some of the content based on Sri Lankan law included in the foreign degrees and their assignment based evaluation process were questionable. This too arose due to the lack of a suitable quality control mechanism for awarding of degrees through private institutions. With proper mechanisms the country can avoid unwanted controversies in whatever new medical schools or other institutions of higher education which are set up in the future. It’s bad enough we have done the same mistake twice – in NCMC and SAITM, because of the lack of proper policy or quality control system in higher education. It’s true these were done under two different regimes, but education policies should not differ depending on the government in power. The worst scenario as we have just witnessed is when things are done in the wrong way; it opens opportunities for various bankrupt political groups to make capital out of it. In the SAITM issue medical students of the state universities had a genuine grievance because of issues of standards and entry qualifications. The GMOA came in because it was an issue affecting the medical profession. However, when the issue was dragging for too long without a solution some sections of the JVP as well as Frontline Socialist Party and their affiliate Inter University Students Federation saw much potential for new slogans and seized the opportunity organizing massive student protest campaigns. Some of them went to the extent of demanding total closure of SAITM and putting a stop to private medical education. With these latest government proposals which have been partially accepted by the GMOA, there are some hopes for resolving it and the most displeased over this development would be those political groups who were making capital out of it. Introduction of stringent quality controls will not only take politics out of higher education but also will enhance the quality and make our higher education more acceptable internationally. 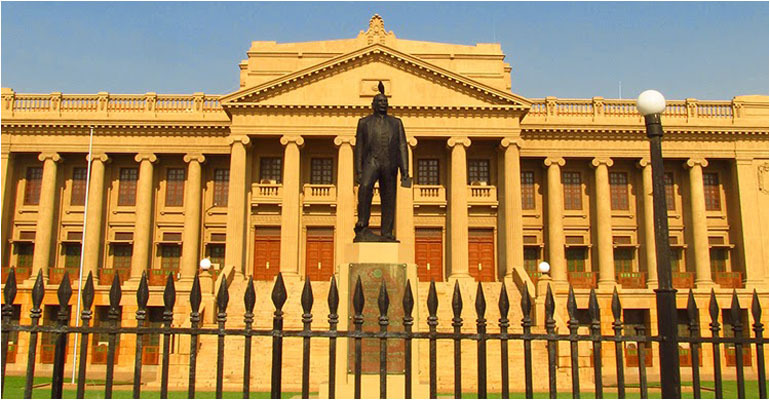 This is quite important because Sri Lanka with its educated population has all the potential of becoming an education hub in the region attracting even reputed international educational institutions into the country. Private medical education is quite an accepted thing everywhere in the world. Some of the best medical schools in the world are private institutions, but governments in respective countries monitor them with strict standards. Therefore, what is needed here too is a proper monitoring regime for higher education with strict standards for medical education. Such high standards should apply to all higher education institutions in the country, be they private or state controlled.